cartooning of this sort — in fact, more than just cartooning. Mayer has excelled not just as a writer and an artist, with widely varied output. He was also the editor who was crucial to the development of, among others, Green Lantern and The Justice Society of America. Mayer was born on April 1, 1917, and was doing various small jobs in cartooning while still in his teens. One of those odd jobs was to assist to Maxwell C. Gaines, the man who first had the idea of reformatting newspaper comics into pamphlet form and selling them on newsstands, thus inventing the modern comic book. Mayer went to work for Gaines in 1935. His job was to do that reformatting, i.e., to cut up artwork and arrange it on pages to be printed. It wasn't the sort of job that requires a lot of creativity; yet, Mayer's creativity showed through, as he used the position to get his own cartoons into print for the first time. Whenever he had a spare page in Popular Comics, The Funnies and other titles of that sort, he'd insert something of his own. He also freelanced for the nascent DC Comics with such creations as "The Strange Adventures of Mr. Weed" and "J. Worthington Blimp" (possibly a play on J. Wellington Wimpy, a supporting character in Elzie Segar's Thimble Theatre since 1931). This made him among the very first contributors of original material to comic books. By far, the most successful of these early Mayer creations was the semi-autobiographical Scribbly the Boy Cartoonist, which Gaines himself is known to have been a fan of. When Gaines formed a partnership with Jack Liebowitz to create All-American Publications, which produced comics in conjunction with Liebowitz's other company, DC, Scribbly got a four-page monthly slot in All-American's flagship title (appropriately named All-American Comics). And since All-American Publications didn't limit itself to reprints of newspaper comics, Mayer became a full-fledged editor. As editor, Mayer brought out the best work in such stellar creators as Irwin Hasen (later famous for Dondi), Gardner Fox (creator of The Flash and Hawkman for the Mayer-edited Flash Comics), Robert Kanigher (who later wrote Metal Men and The War that Time Forgot) and Alex Toth (Space Ghost, The Mighty Mightor). In some cases, it was Mayer who brought the individual into professional cartooning. His greatest achievement in the area of talent discovery was to give Julie Schwartz (The Flash, Justice League of America) his first job in comic books. In 1945, Gaines sold most of his titles to DC, and went off to found EC Comics. Mayer stayed behind, and continued to edit such titles as Sensation Comics (Wonder Woman) and All-American Comics (Hop Harrigan). He also developed new titles for DC, such as Leave It to Binky. Meanwhile, he never lost his love of cartooning. Aside from continuing Scribbly's monthly adventures until 1944, he exercised his editorial prerogative to produce an entire issue of All-American's Funny Stuff single-handed. In the fifth issue (Summer, 1945), The Three Mouseketeers, Bulldog Drumhead, McSnurtle the Turtle and all the other features were written and drawn by Sheldon Mayer, making it, by most accounts, the most desirable issue of that title from the point of view of a modern collector. In 1948, Mayer decided to give up editing and go back to his first love. Scribbly got his own comic that year, and little Mayer-created gems like Bo Bunny and Doodles Duck started turning up sporadically in such titles as Funny Folks and Animal Antics. In 1956, he launched the feature he lavished the most care on, and stayed with longest, Sugar & Spike. 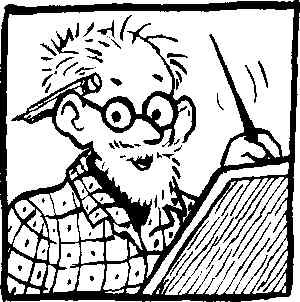 He continued to write and draw Sugar & Spike until 1971, when failing eyesight forced him to abandon cartooning. He moved into scripting, and contributed quite a few stories to DC's fantasy/horror line. He also created an unusual and interesting (but not commercially very successful) superhero called The Black Orchid (no relation). Mayer's sight was restored a few years later, and he went back to producing new Sugar & Spike stories. But the American comic book market was no longer able to support such a feature, so these were mostly published overseas. He also worked on several tabloid-formatted comic books for DC in the mid-1970s, including the company's first use of Rudolph the Red-Nosed Reindeer since the early '60s; and a collection of Bible stories with layouts by Mayer, filled in by several artists, the most prominent of whom is Joe Kubert (Sgt. Rock). During the 1980s, Mayer was mostly retired. He died on December 21, 1991, one of the 20th century's more highly respected cartoonists.